from the EnCore system anytime, anywhere. Imagine your sales reps being able to create re-orders on the spot that go directly into you office system, or design requests that are acted on before they even pull out of the customer's parking lot. Manage your time, territory and prospects. 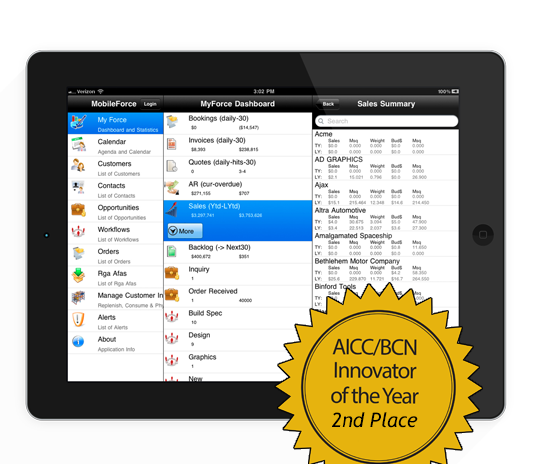 Mobile Sales from Amtech greatly expands on EnCore's sales functionality and sales management capabilities. The EnCore database extends to sales reps using a smartphone or tablet to provide 24/7 access to critical account management information including sales, orders, backlog, quotes, inventory and receivables. Drive sales up with Mobile Sales from Amtech. Data plans and wireless access provide one touch connectivity to contacts, emails and customer communications for seamless account management and service. Go into sales meetings and opportunities armed with information to engage your customer including account history, activities, opportunities and more. Leverage real data to solve customer challenges including daily sales information, order bookings & backlog, quotes hit & miss ratio, receivables aging reports and inventory. Integrates with office functions that enhance communication for a more efficient sales process. Sales reps can initiate customer inquiries, track design requests and more. Do more in front of the customer including expediting, releases, verify inventory levels, place re-orders, create quote and design requests, and initiation of quality issues. Gain power business intelligence and sales management insight through visual dashboards that track activities and opportunities by sales rep over time. 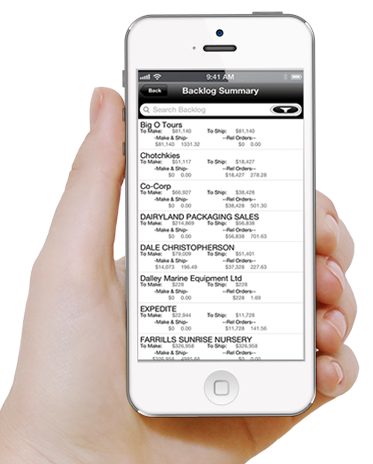 Mobile Sales was designed specifically for the corrugated manufacturing industry. 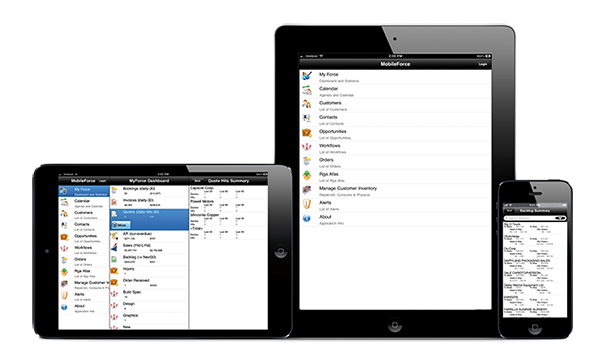 Integrating with EnCore and Microsoft Outlook, Mobile Sales offers capabilities unlike any other. So support your sales process with technology to ensure the tools and information needed to do the job are available at all times. Watch our promo video and see what Mobile Sales can do for you! Built for use on Apple iPad and iPhone. Reduce their dependence on inside service representatives and watch sales grow.